During the turbulent sixties, the call for Quebec independence created a political and social maelstrom in Canada. For nearly ten years, riots, bombings, labor strikes and violent street scenes—many even worse than what we’re seeing today—were part of everyday life in Montreal, the epicenter of battle. 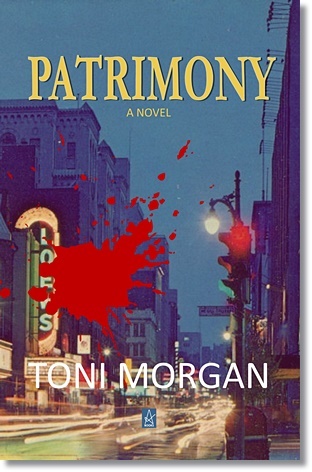 PATRIMONY represents the essence of that still-smoldering conflict. Told from the viewpoints of two brothers and a sister, PATRIMONY is about what happens in a country when political ideology resorts to terrorism. It’s about what happens in a family when one brother believes in responsible political action to achieve his goals, and the other brother, a time-bomb ticking toward an explosion, will do anything to get what he wants, including using his own sister for blackmail. From PATRIMONY’S opening chapter, a trip to North Carolina where brother and sister buy explosives from gunrunners, to a factory bombing and a symbolic attempt to blow up a bridge, the plot moves quickly. 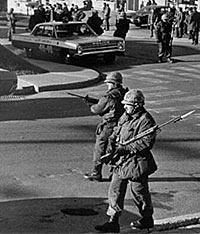 It weaves through cultural differences, family and political conflicts, and ends in an unprecedented political crisis—Quebec under martial law. Both PATRIMONY and TWO-HEARTED CROSSING were inspired by a comment made by someone I was introduced to. He said that his father preferred hunting and fishing to being with his family and that he’d been French Canadian. Two sentences, nothing more. I wrote a short story based on that idea then wanted to know more about the man and what had made him a recluse. I knew it had to be something in his past. Researching Quebec’s history, I found him as a young man square in the middle of the French separatist movement. Wow! Talk about a turbulent era and a wealth of material. A belated thank you to McGill University library in Montreal. for in enthusiasm and ingenuity."